The new government in Zimbabwe has unveiled new plans including a land tenure review plan and agricultural crop subsidies to scale up farm production, which could significantly boost demand for seed, fertilizers, and pesticides. President Emmerson Mnangagwa, who took office in November 2017 after the military forced out long-serving Robert Mugabe, has come up with a new economic recovery scheme dubbed the “New Economic Order,” which includes the Special Agriculture Production Program (SAPP) — also referred to as Command Agriculture. The push for increased agricultural production by the new government has opened new business opportunities for Zimbabwean planting seed material suppliers and agrichemical manufacturers despite initial farm input supply challenges. Mnangagwa has also directed the Ministry of Finance, in partnership with the Agriculture Ministry, to restructure and streamline operations of the Presidential Input Scheme, which has been marred by allegations of corruption and mismanagement in distribution of farm inputs to farmers. SAPP, with the backing of the private sector, targets improvement and expansion of extension services, disease and pest control, provision of bankable leases and security of tenure, irrigation services and farm mechanization. To successfully implement SAPP, the government has increased allocations to ag sector in the 2018 budget to 9% of the total national budget, up from 7% last year. The budget includes financing to expand maize production to 220,000 hectares under the Command Agriculture program. This maize production plan will cost an estimated $214 million in 2018 and includes supply of farm inputs such planting seed, fertilizer, and selected agrichemicals. Finance Minister Patrick Chinamasa says in his 2018 budget statement that the government had, by the end of December 2017, contracted 46,404 maize farmers with an estimated 219,900 hectares to grow the crop under the SAPP initiative. The 220,000 ha intended for maize production will require 4,109 tons of planting seed, 29,489 tons of basal fertilizer, and ,229 tons of top dressing that could be either ammonium sulphate (dry) or ammonium thiosulphate (liquid). Chinamasa says the new government in Zimbabwe will “strengthen the farm inputs control and distribution systems, as well as program-monitoring mechanisms at every stage of the supply and distribution chain to plug leakages.” This system improvement concerns farm inputs supplied under government subsidy schemes not only for maize, but also for other food and cash crops. Part of the restructuring of the presidential input scheme is a phased replacement of the existing manual farm inputs collection and distribution recording system with an electronic data platform that will ride on the back of the Public Financial Management System (PFMS), according to Chinamasa. “Currently there is critical shortage of soya bean planting seeds. Only 2,750 tons are available against a requirement of 6,000 tons to achieve soya bean production targets under ‘Command Agriculture’ program,” Chinamasa said in December. The fertilizer industry, too, faces challenges. Indications are that Zimbabwe is currently sitting on 120,000 tons of fertilizer ready for disposal to the market. The industry has the capacity to produce an additional 160,000 tons between this November and January 2019, he said. Chinamasa said the challenge for fertilizer producers in Zimbabwe is the lack of foreign currency in the country that has, since late 2017, been gripped by a shortage of U.S. dollars, a currency it adopted in 2009 after its own currency was decimated by hyperinflation. “Necessary raw materials (for fertilizer manufacture) are available in bonded houses within Zimbabwe, but it would require $61.32 million in foreign currency,” said Chinamasa. Zimbabwe’s farm inputs market is dominated by both local and international companies that are set to ride on the increased government support program for agriculture to improve their bottom lines and strengthen their operations in the country. 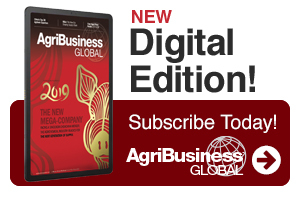 Although Zimbabwe’s Ministry of Agriculture could not immediately provide a market update as requested by AgriBusiness Global, previous estimates indicated the country has about 40 agrichemical businesses. Some of the companies are involved in the formulation and marketing of nearly 450 different agrichemical products. Some of the key players in Zimbabwe’s agrichemical market include Omni, Windmill, Proffer, Superfast, Farmers World, Bayer, Greenyard, Agricore, Prime Crop Protection, Prime Seeds, Agricura, Polachem, Intercrop, ZFC, Pivotal, Curechem and Klein Karoo, among others. Klein Karoo, which is a subsidiary of South Africa’s listed firm ZAAD Investment Ltd, has indicated in a 2016 report it held 10% of the Zimbabwean seed market and unveiled a $6 million investment plan to increase the share to 20% by end of this year. 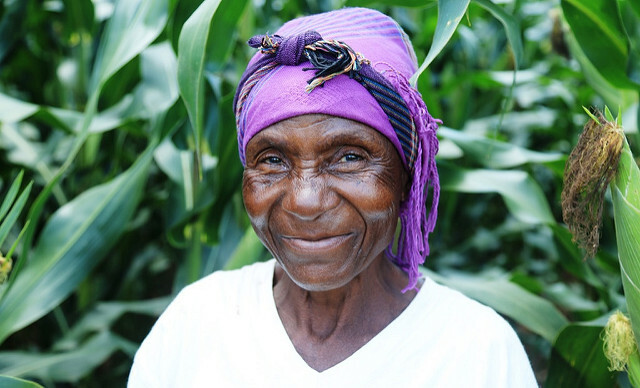 Major crops in Zimbabwe are maize, tobacco, cotton and soya bean. Recent reports show a decline in the production of all these major crops because of prolonged drought, inadequate sector financing, and poor government policies that led to the collapse of the economy in general. The crops require different agrichemicals to cushion them against diseases and pests. Some of the common herbicides, insecticides, fungicides and nematicides available in Zimbabwe’s market include glyphosate, atrazine, alachlor, paraquat, metolachlor, dimethoate, carbaryl, imidacloprid, copper oxychloride, tebuconazole, benomyl, fenamiphos and acephate, to name but a few. The market structure consists of importers and distributors complementing each other to ensure availability of quality agrichemical products and seamless supply to ensure they reach farmers. The importers, many of them subsidiaries of international manufacturers, import active ingredients for formulation into different agrichemicals depending on the market needs. These importers rely on distributors, who have a countrywide network, to reach the farmers. In some instances, distributors with supply chain capacity receive agrichemicals in bulk from the importing companies, break bulk, repackage and distribute to the farmers via retail agrichemical shops across the country. For example, Agrochem, one of Zimbabwe’s leading distributors says it gets its supply of agrichemicals from Syngenta, Bayer, and BASF in addition to other sources that supply it with generic pesticides and other agrichemicals. However, the import of agrichemicals and active ingredients for formulation must comply with Zimbabwe’s Ministry of Agriculture Fertilizer, Farm Feeds and Remedies Act of 2012 which includes specific regulations on pesticide importation, marketing and use. The regulations outlaw selling of any pesticide that has not been registered in Zimbabwe. Pesticide operators are also required to register with the Ministry of Agriculture through a representative licensed and already operating in Zimbabwe. Importing companies must apply for an importation permit and confirm to the registrar of pesticides the products are registered in Zimbabwe and bears the company name, registration number, pesticide name, formulation and its point of origin. For retailers and distributors, the requirement is that they comply with stipulated standards for premises that they use and which must be away from residential buildings. They also should employ people with agricultural training qualifications in their retailing and distribution business. Zimbabwe appears to have realized the mistakes that eroded gains made in agricultural production over the years, with Finance Minister Chinamasa saying the future is bright under the new government with fresh efforts now in place to bring stability in management of land ownership that supports effective use. “Entrenched weaknesses and indiscipline in the management of public finances are exacerbating the situation, which in turn transmit vulnerabilities in foreign exchange generation and availability,” he said. Importers of fertilizer making raw materials, for example, are unable to clear their imports for lack of foreign exchange. Shem Oirere is a freelance journalist based in Nairobi, Kenya. He can be reached at [email protected] See all author stories here.